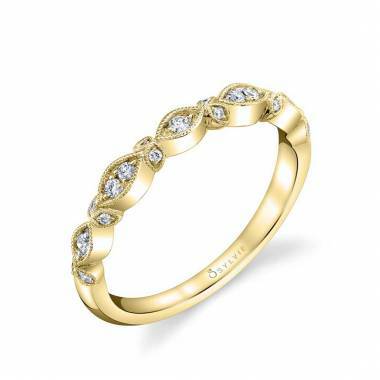 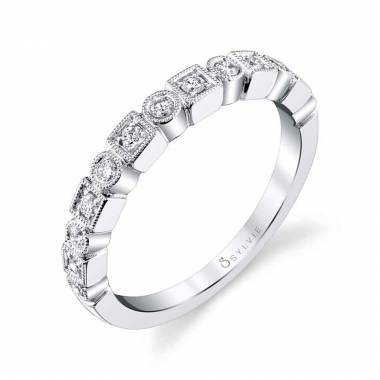 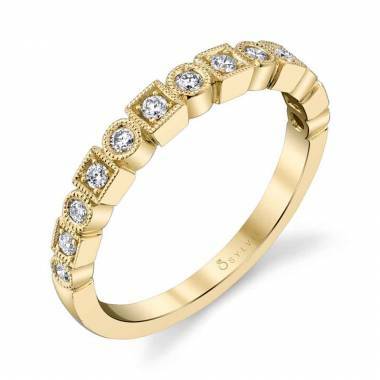 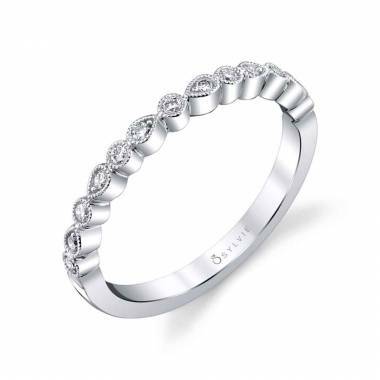 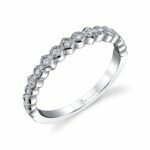 Following one of the hottest trends in fine jewelry, this stackable wedding band will look great on it's own or matched with your Sylvie engagement ring. 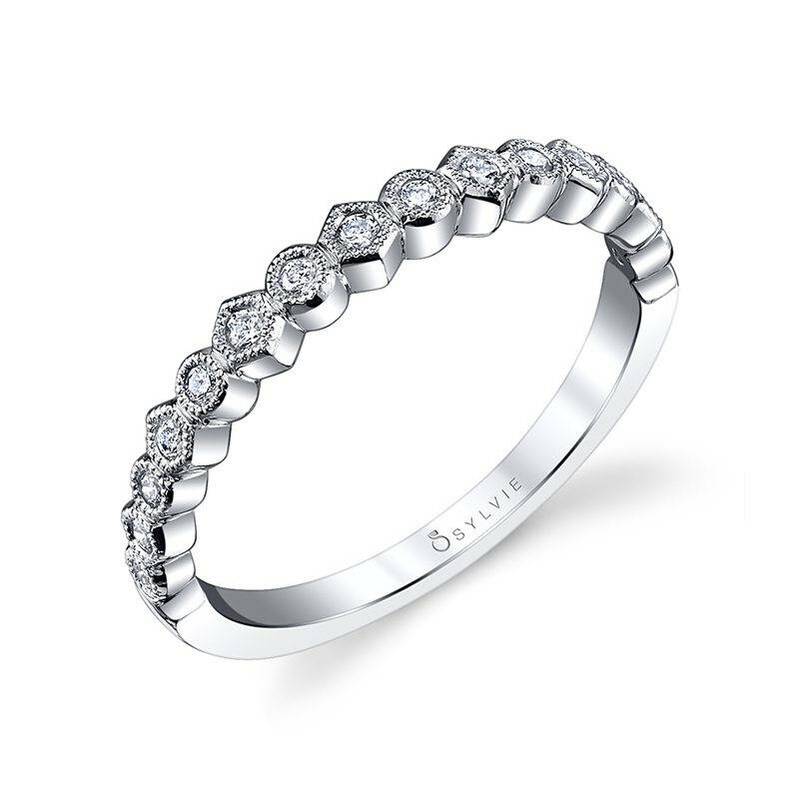 This stackable band features a mix of shapes, giving it a true chic appearance. 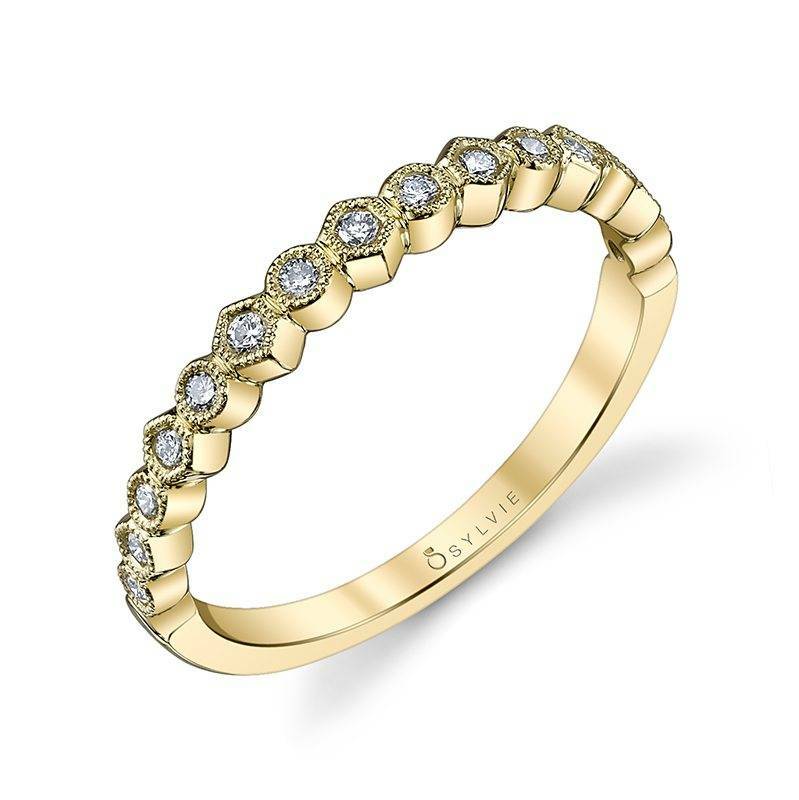 Complete with milgrain details this wedding band's total weight is .16 carats.